I am a recent podcast convert. Until the beginning of this year, I really had never even attempted to listen to a podcast before. Serial was my first podcast... I had heard so much about it that I had to give it a go. 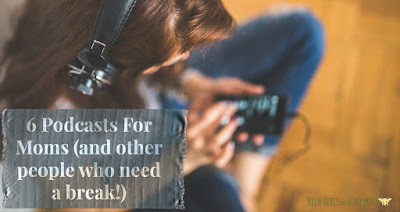 What I found out was that podcasts - at least good podcasts are a way for this busy mom to get a little bit of pop culture and news into my life - since I really can't find time to read as much as I'd like or watch much adult TV. 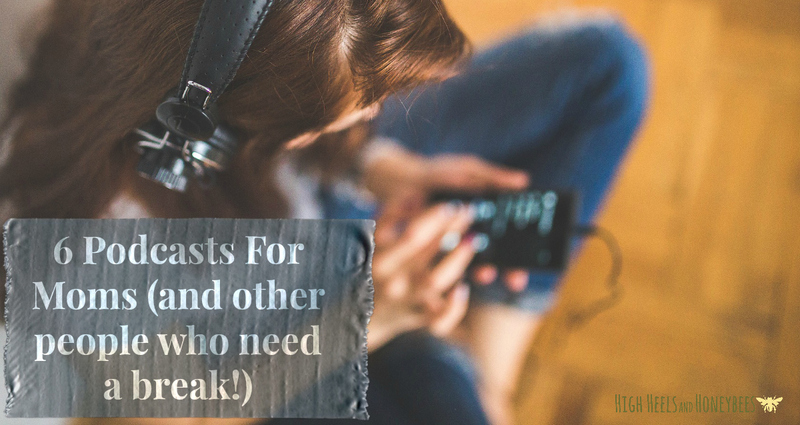 So here are my 6 top podcast picks for other mom's who want to get back a little more connection with the world outside Peppa Pig and Dinotrain. Pop Culture Happy Hour: Books, music, TV.... whatever it is that your missing out on - they are talking about. I LOVE to hear them discuss new releases and finding out what is really worth my limited time. Favorite recent episode: Small Batch: The Real Housewives of Potomac. Embedded: This is a newer podcast - and feels much like Serial. The basically go deep inside stories that you might otherwise not really know much about. I've only listened to the first episode (The House) - but I loved it. America's Test Kitchen Radio: While getting cooking advice and recipe ideas is something I always enjoy I've also found some great book recommendations from this podcast. Favorite recent episode: Poisoned Vines: France's Most Celebrated Vineyard is Attacked by Eco-Terrorism. Ask Me Another: Game night - but in your car. This is fun for moms because you get to shout out random words or phrases and your kids can think your crazy. My favorite recent episode: Curtis Sittenfeld: Fifty Shads of Jane. One Bad Mother: The name says it all. This is the perfect podcast if your day isn't going so great and you want to hear other moms tell you their horror stories. And then laugh at themselves. Maybe you'll even end up laughing at yourself too. I know I did. My favorite recent episode: My Life is an Actual Sh*t Show.